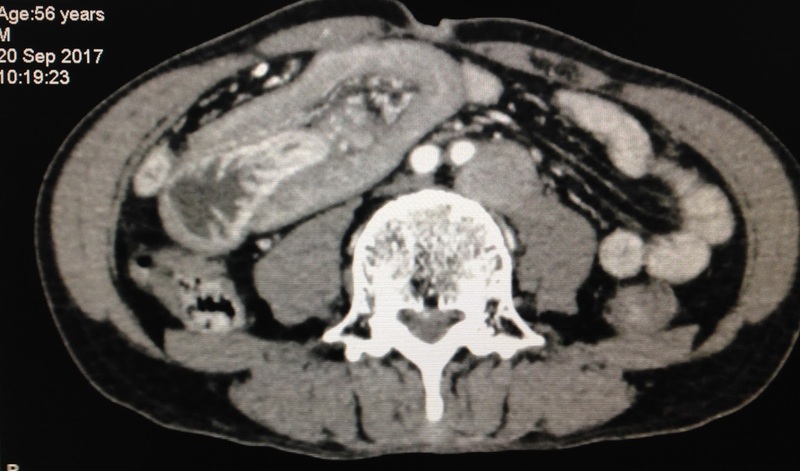 Man 56 yo with acute abdomen pain, vomitting, and dark stool [melaena]. 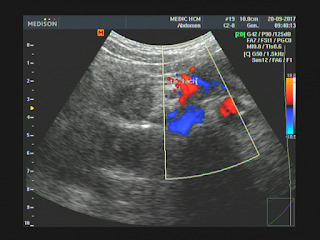 Clinical examination was oriented to 4th day bowel occlusion. 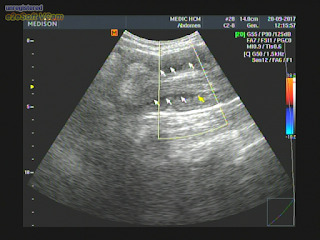 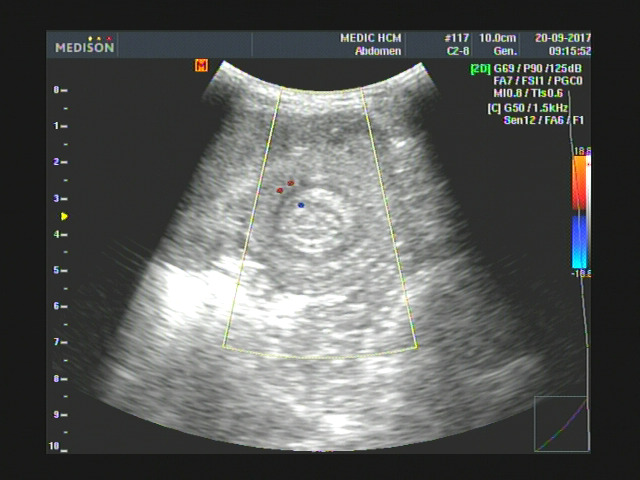 Abdomen US scan in emergency detected dilated bowel with crossed sectional view presented typical oignon sign of intussusception ( US 1, crossed section; US 2, longitudinal scan. 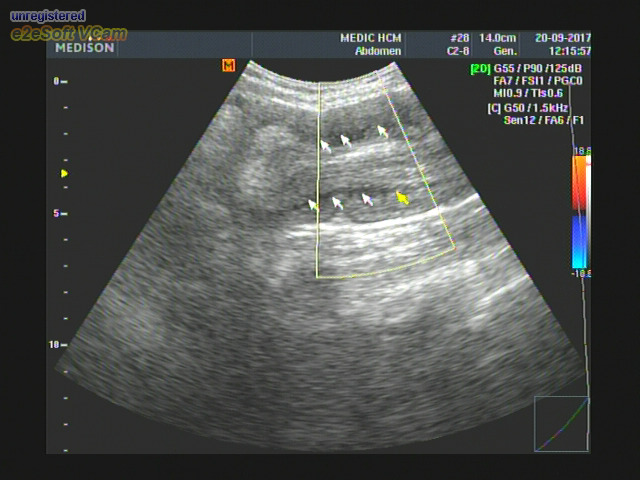 With linear probe, US 3, CDI examination; US 4, multilayer of intussuscipiens [boudin]. 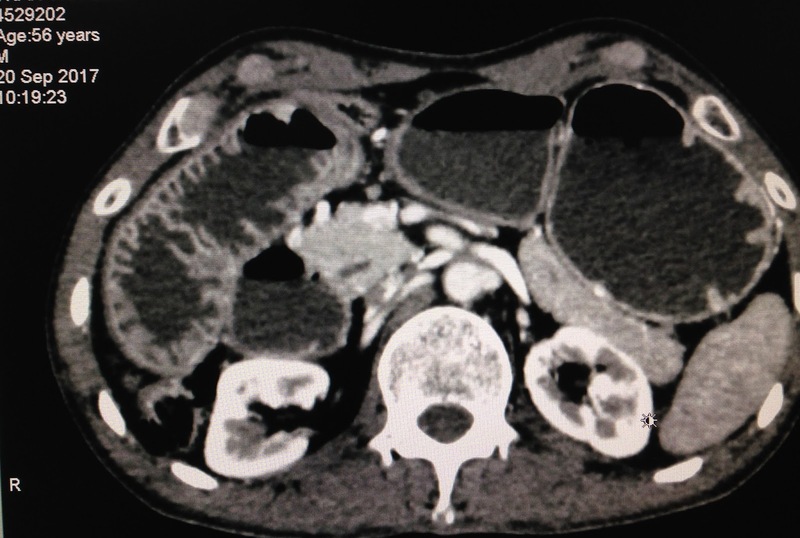 CT 2 : mass with multilayer of small bowel wall. 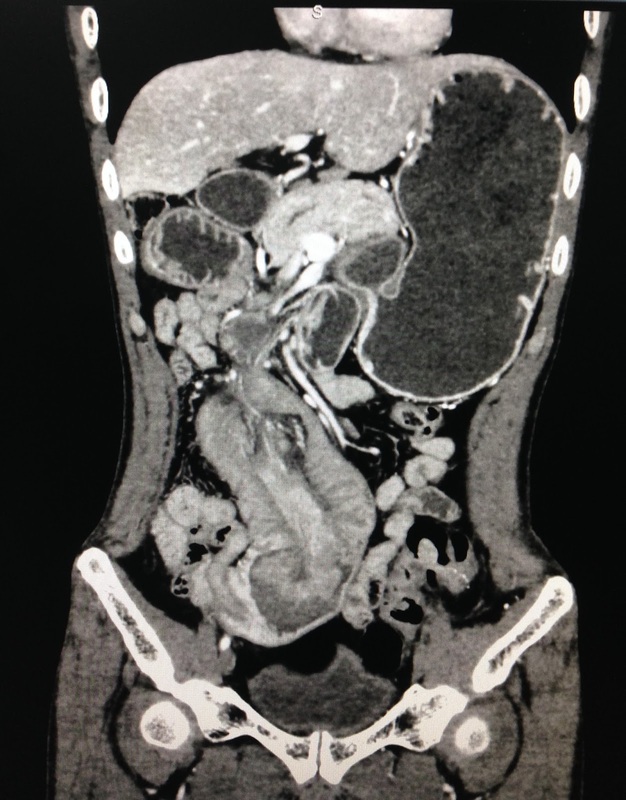 Emergency operation via laparotomy with diagnosis intussusception by small bowel tumor. 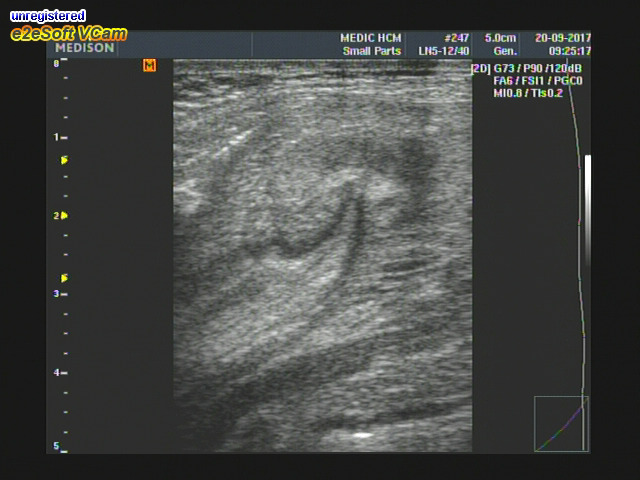 Surgeon reported that tumor is black color, intra jejunum, size 5 cm. Microscopic report with immunohisto chemistry is malignant melanoma. For DISCUSSION whatever PRIMARY OR SECONDARY MENALOMA? CAREFUL EXAMINATION FULL BODY DETECTED ONE SCAR AT THE LEFT PLANTAR FOOT DUE TO OPERATION 6 YEARS BEFORE AT CANCER CENTER. BUT PATIENT DID NOT REPORT THIS ISSUE and HAS NOT REPORT FROM THIS OPERATION. THIS CASE MAY BE CASE of SECONDARY MELANOMA METASTASIZING TO SMALL BOWEL ( SEE FOTO).